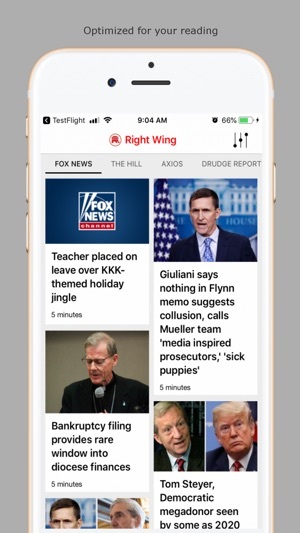 The Right Wings News app is a full featured news reader. 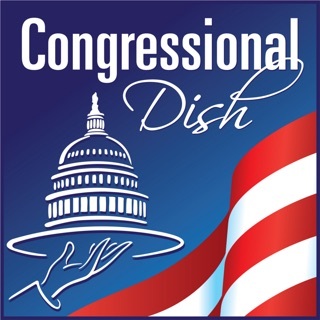 The app consists of new summaries about politics, entertainment, and current events. It provides elegant and straightforward news content. 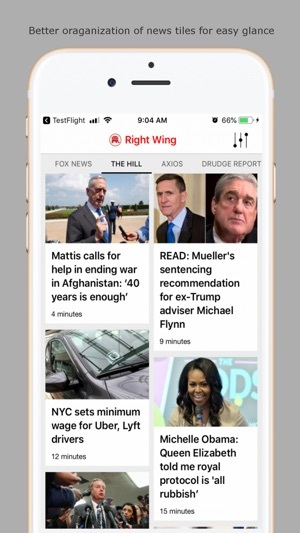 The Right Wing News Reader app is committed to providing you the best possible experience. 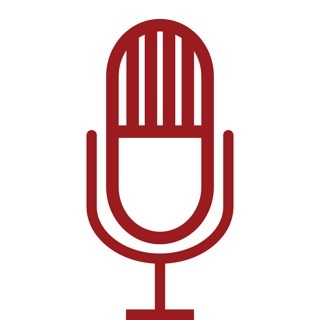 If you have suggestions on how to improve the app, please email us. We read every email and listen to all suggestions. Please keep the feedback and reviews coming! All stories on Drudge Report page are randomly sorted and stripped of Drudge written headlines. In other words, the headline story is buried on the page and no longer has the headline Matt Drudge wrote. 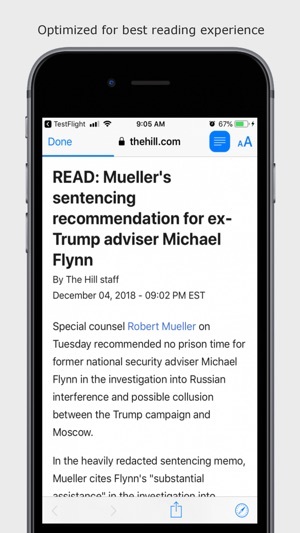 Same thing for links that should appear above main headline - these are now randomly mixed in with the other stories on the page. And when Drudge puts similar stories together, these are also just mixed in with everything else. Developer really missed the boat here. 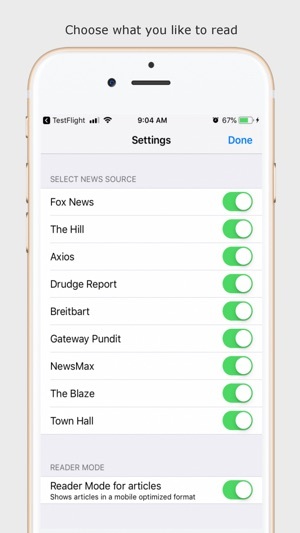 You also cannot select a default news feed that appears when opening the app but this is minor issue. The new app is fast and seems to work well otherwise. 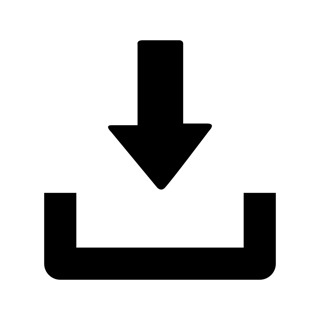 Fantastic sites, consistent format for all sites, easy to use, image for every article, and fast.